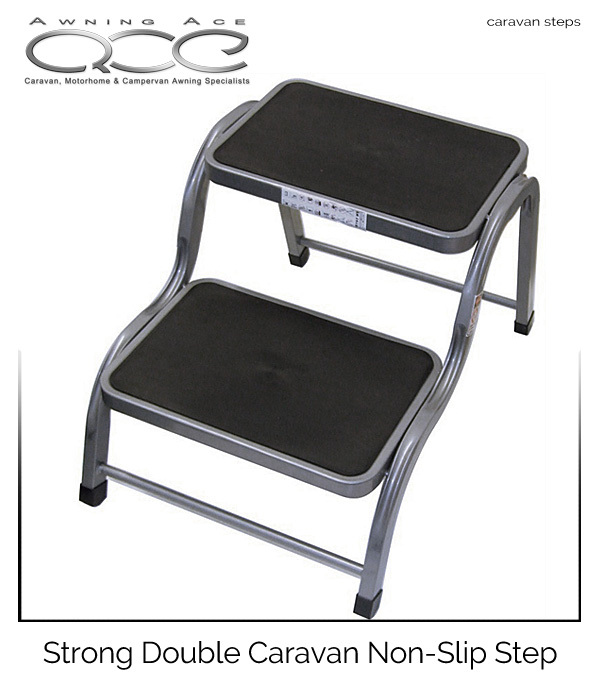 These strong and sturdy steel double steps make getting in and out of your motorhome or caravan a safe and easy process. Constructed of strong steel with a beautiful powder coated silver finish, these steps are rated to a maximum weight of 150kg (330lbs). Anti-slip rubber treads and sturdy rubber feet ensure maximum stability in wet and dry conditions.